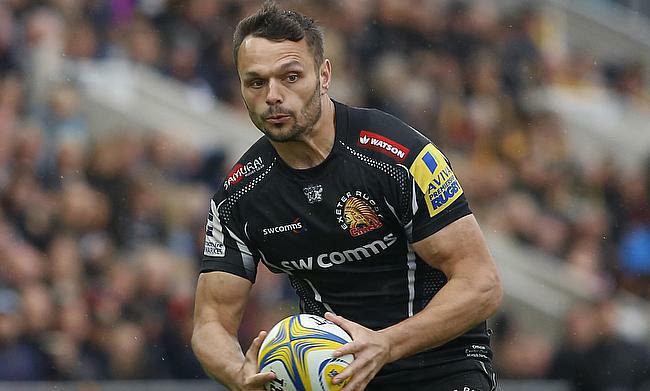 Exeter Chiefs have announced that Phil Dollman, Ollie Devoto and Olly Woodburn have signed new deals with the Gallagher Premiership club. Dollman joined Exeter Chiefs from Newport Gwent Dragons in 2009 and is currently on his 10th year with the Sandy Park outfit. The 33-year-old who scored a try in Exeter's Premiership final win over Wasps in 2016/17 season has signed a one-year deal. Devoto made his senior debut for Bath Rugby in 2012 and joined Exeter in 2016. He also made a solitary Test appearance for England that came in 2016 against Wales at Twickenham Stadium. Like Devoto, Woodburn also came to Exeter Chiefs from Bath Rugby in 2015 and in his maiden season he scored eight tries from 24 appearances winning three man of the match awards as well. He also picked club’s Player of the Year award and was nominated for the Premiership’s Player of the Year accolade during their successful 2016/17 season when they won the domestic title. "In the case of Dollar, people will see what we've done in the past with some of our more senior players," said director of rugby Rob Baxter told the official website of the club. "Where they get to that cycle of getting one-year rolling contracts, and how it's worked for both us and the player themselves. "It's important not only in terms of our culture, but also in terms of our strength of the squad moving forward to have characters like him, Gareth Steenson and Ben Moon. They've all been part of our journey. "Having guys like Woody and Devo extend their stays is just as important. Looking at both of them, they've obviously made significant contributions but, at the same time, we feel with both of them that there is still more to come. "Woody came to us a few years ago have only played sporadically in the Premiership, yet now he's had a lot of game time at that level and in Europe and done very well. He's been unfortunate with injuries this season, but I'm certain he will have a strong end to the season. "Devo is looking like he is coming to the fore again. He's had a very good season to date, he's been rewarded for that form with a call-up into the England squad. He's one of those guys who we feel can have a real influence on where we want to go."